Stem Cell Transplantation for Multiple Myeloma - We treat Multiple Myeloma through Stem Cell Transplant in Guatemala. Affordable prices and financing available. Welcome to Medicenter, the most advanced Stem Cell Transplantation clinic in Latin America. We are located in Guatemala city, the most modern city in Central America and we offer our patients state-of-the-art technology with respect to Stem Cell Transplant for Multiple Myeloma and other diseases. Stem Cells have the ability to transform in different cell types and contribute to tissues repair and recovery. This is a disease originated by the disorderly and aggressive plasmatic cells’ grow; these are cells which, in normal conditions, are in charge of the production of antibodies, named immunoglobulins, which help us against infections. On multiple myeloma, these cells lose normal control over their growth and proliferation and produce huge quantities of an abnormal antibody. When to consider a diagnostic for Multiple Myeloma? Multiple myeloma is part of differential diagnostic in people which suffer anemias, repeatedly infections, renal insufficiency and bone pain. Bone pain is present between 63% to 90% of all cases. Other signs of this disease could be fatigue, weight loss, hemorrhage, dehydration and neurological changes. Who is affected by Multiple Myeloma? Multiple myeloma can affect men and women in a relation of 3:2, which means that multiple myeloma is more frequent in men and at diagnosis, average age for men is 68 and 70 for women; however this does not rule out for people who’s age is 50 or more. How does a Multiple Myeloma specialist diagnoses patients? Traditionally and since the 50s, we (the multiple myeloma specialists) have tried to treat multiple myeloma with chemotherapy agents in its diverse modalities: oral or endovenous medication; however our ability to eliminate or control the disease has been very limited; the average survival at diagnosis, for patients receiving chemotherapy is 38 months. Now we have added new therapies to our portfolio, such as biological therapies, which include interferon and bortezomib; medications that modulate the immune response such as thalidomide and lenalidomide. In general it is accepted that new medications, specially those used in first line, can produce quicker responses than traditional chemotherapies. However nowadays it is considered that multiple myeloma has no cure with available therapies. Can Multiple Myeloma healing through Stem Cell Transplantation be achieved ? We have to accept that if we want to have a real impact over multiple myeloma patients’ survival, other therapies should be tried to complement or replace usual treatments. Stem cell transplantation has taken relevance for multiple myeloma healing since stem cells can be obtained from the own patient. Stem cells can be taken from: Bone marrow, peripheral blood and umbilical cord. First line Stem Cell Transplant is the preferred option for young multiple myeloma patients, which in other circumstances will have a limited survival or for those patients who had a multiple myeloma relapse after initial treatment response. Medical literature is full of data about stem cells transplant utility in multiple myeloma. Stem cell transplant has been a proven therapy over time and fully accepted by the scientific community; for some time it was limited to developed countries, but now developing countries such as Guatemala, have imported stem cell separation technology and qualified human resource to achieve it. At Medicenter we are committed to excellence and we offer our stem cell transplantation program for multiple myeloma to our patients and their relatives, because we believe that patients have the right to get the best treatment possible for every penny they spend; specially, multiple myeloma, since we know that stem cell transplantation is the best alternative to cure the disease. 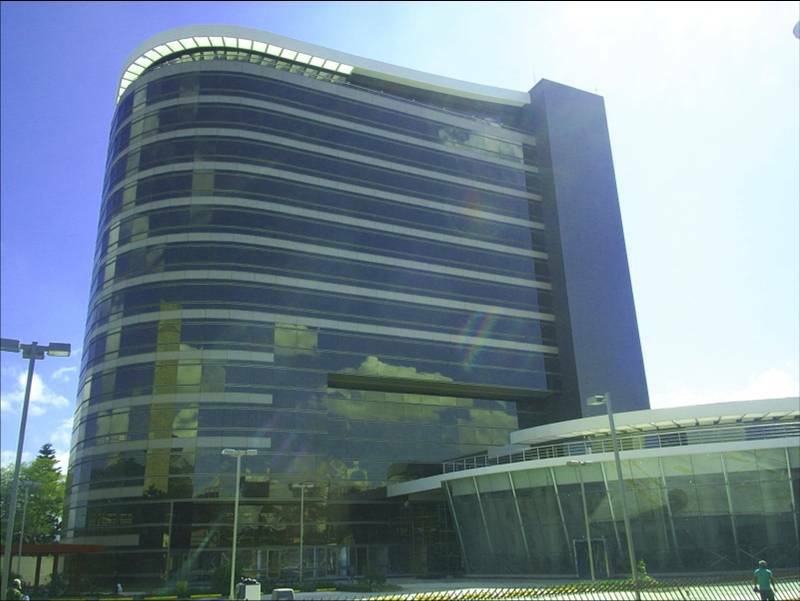 Medicenter is located in one of the most modern medical buildings in Guatemala city. Medicenter lobby: We will be ready to assist you.